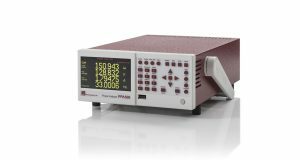 The PPA500 joins Newtons4th’s Precision Power Analyzer range addressing a need for high performance power analysis at low cost. 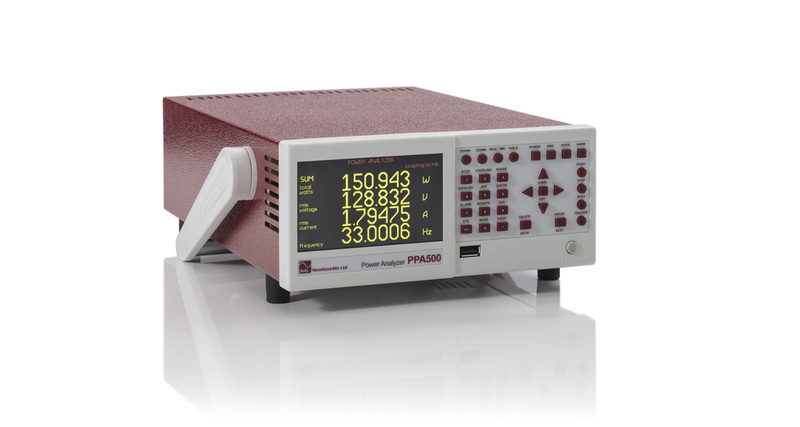 Primarily aimed toward applications that require precision measurement without complex features, the PPA500 series is ideally suited to a production or test environment. The unit benefits from a full colour TFT display that provides greater flexibility than fixed numeric displays and combines a level of performance, ease of use and value beyond any comparable product. Sharing many of the techniques utilised in the PPA1500 series, the PPA500 achieves a level of performance previously available only in much more costly instruments, while maintaining the intuitive operation and clarity of measurement presentation for which the PPA series has become renowned. While being only half rack width and 2U high, the PPA500 is available in 1, 2 or 3 phase configurations. There is also the option to install the unit in a 19in rack where two units can be positioned side by side to provide a 2U 6 Phase solution see our accessories page for more details. As a result of innovative design, the PPA500 is able to deliver high performance at low cost. 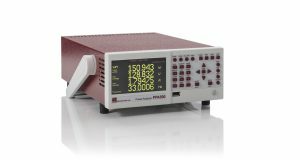 Features such as the planar shunt (A shunt design topology developed by N4L) and FPGA based real time no gap analysis technique all contribute to the PPA500’s fantastic offering. 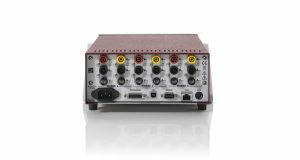 The low cost of the PPA500 Power Analyzer presents a great opportunity to system integrators looking for accurate, traceable, reliable power analysis. All PPA500 units are supplied with UKAS ISO17025 certification as standard, this is performed at N4L in the UK in our accredited ISO17025 Laboratory. 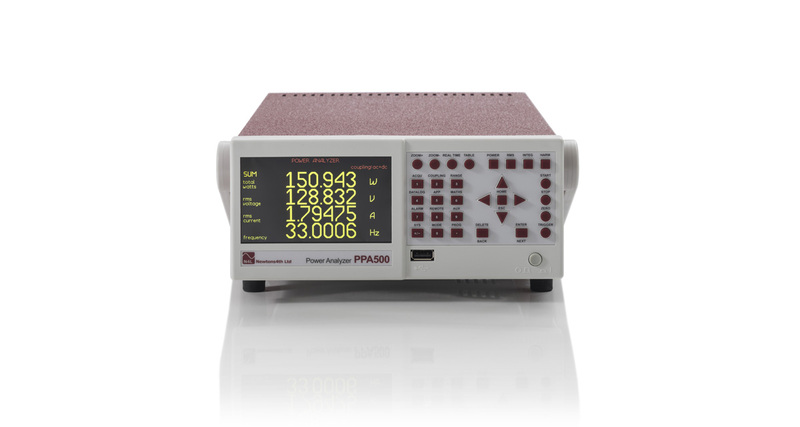 The PPA500 Power analyser offers 0.05% nominal accuracy, this level of accuracy usually only seen in instruments significantly higher in cost. Every PPA500 Power Analyzer supplied by N4L is provided with both a UKAS Accredited calibration certificate up to 850Hz, as well as a UKAS Traceable calibration certificate up to 500kHz. N4L have developed a number of bespoke power calibrators in order to verify the accuracy of every power analyzer supplied over its entire frequency range, this is surprisingly uncommon within the instrumentation industry. Furthermore, development of an ISO17025 (UKAS) accredited Closed Loop Calorimeter in partnership with Oxford University (UK) has verified the performance of the N4L custom designed power calibration rigs with a very low uncertainty level, providing absolute confidence that the wide band performance of all N4L power analyzers is market leading. Wideband calibration (DC-2MHz) with optimisation of measurements on all ranges over the complete instrument bandwidth. Traceable to UKAS but not ‘accredited’. 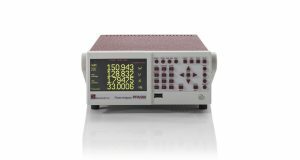 UKAS Accredited calibration of Voltage, Current, Phase (PF) and Power on all ranges from 55-850Hz. This option includes option 1 calibration. In addition to the calibration certificates, the PPA will be fitted with a UKAS calibration label. UKAS accredited calibration of a PPA together with an external sensor. This option is separate to option 1 which must also be ordered when system calibrating. Note: This is end-to-end calibration of the of the PPA+sensor ‘system’ at an N4L defined test point or points and does not include UKAS calibration of the PPA alone (option 2). As Option 3 but applied at customer requested test points. This will be UKAS only for frequencies between 16-850Hz. UKAS accredited calibration of PPA55x1 series units that includes all prevailing type test protocols for fully compliant Harmonic and Flicker testing. This option includes option 1 and option 2 calibration. Custom UKAS calibration that includes a series of low power factor tests down to 0.01 PF over the frequency range of 16-450Hz. UKAS accredited power calibration via calorimetry. Available at customer requested frequency(s) and with sinusoidal or harmonically distorted wave shapes within a frequency range of 45Hz to 2MHz. This option includes options 1 and 2. ATT10 – 10:1 Attenuator (For use when voltage probe output does not meet PPA ext. 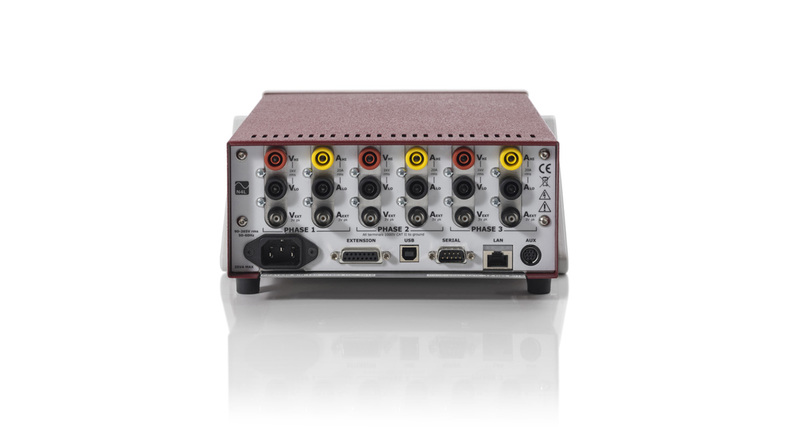 input 3Vpk max rating) – For connection to PPA ext input and external attenuating probes. ATT20 – 20:1 Attenuator (For use when voltage probe output does not meet PPA ext. input 3Vpk max rating) – For connection to PPA ext input and external attenuating probes. Voltage Breakout Lead set – 3 x 2m BNC to BNC with 4mm Banana Voltage break out leads + 2 x voltage low shorting leads (For use when distance between analyser and DUT is large and HF series external shunt is being used, facilitates short voltage connections. N4L HF Series Current Shunts – 1Arms ~ 500Arms Rated, DC ~ 1MHz Resistive Shunt. 5 deg to 40 deg ambient temperature (or air intake temperature when rack mounted), 20-90% Non-condensing relative humidity.